New Life Community Health Center - 2018 Blood Drive...scores better results than your tax return! Just when you think Uncle Sam hasn't already 'sucked your blood dry' by doing your taxes, New Life Fellowship and community people came along and helped disprove the adage, if only a little... to give some blood, and help save a life. 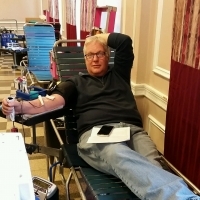 On Sunday, April 15th, the day many are scurrying to finish their federal, state and local tax returns, church and community members came forward for our 11th annual blood drive for the New York Blood Center (NYBC). It's become an annual ritual the same as filing our taxes... and often a lot less painful! Angel Rodriguez, the NYBC supervisor of the event, says it's always a good to have a church sponsor a blood drive, and the results are always good, too. "We did very well today, it was busy throughout the day, and at times a lot of people came in at the same time, and they were willing to wait, and we thanked them for the wait. We always get a good turnout at churches, they're already here for the masses (services), and how can they say no here at church?" Blood donations can generally be done in several ways - such as whole blood and red cell donations. NYBC brought 4 portable machines for the blood drive, as well as its own staff and portable registration and staging equipment, while the church provided a post-donation canteen area. 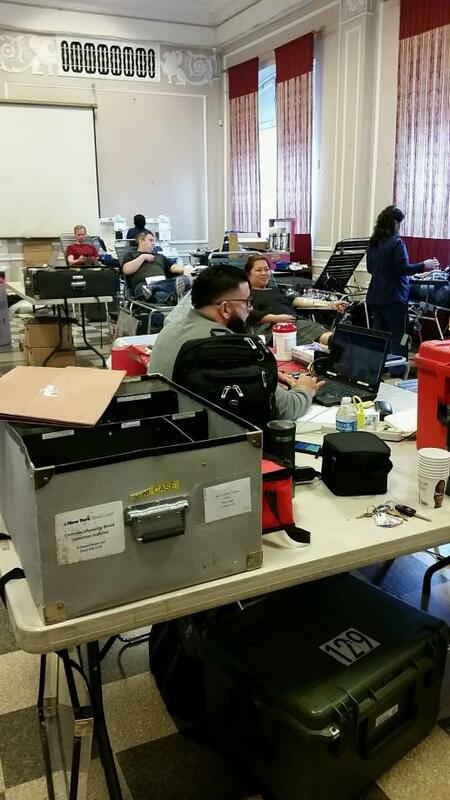 Total units donated were 45, with 43 whole blood donors and 4 automated red cell donors, and 12 donors who were deferred because of conditions or situations discovered at screening time. Next year when you are planning to file your tax return remember it is about time for the New Life annual blood drive. Check out our website NLCHC.org or our Facebook page and you will find details for the 2019 blood drive.